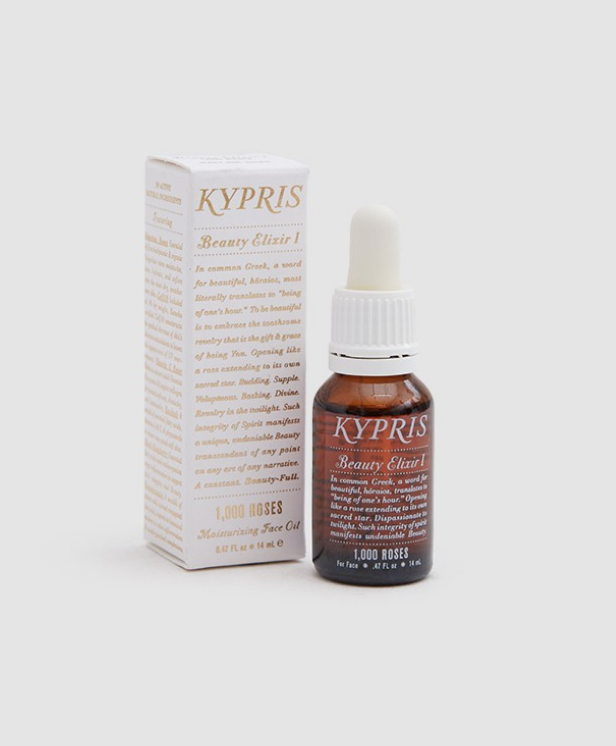 I am in love with this 100% active, moisturizing beauty oil from KYPRIS. Aside form delivering the softest skin, it is formulated with organic and biodynamic Bulgarian rose essential oil to combat acne and soften the skin; antioxidant-rich CoQ10 to diminish the appearance of sun damage; vitamin C Ester and vitamin E to encourage collagen production, baobab oil to reinforce the skin's barrier and retain moisture; and blackberry and pomegranate seeds to fight inflammation. And as if its beauty super powers weren't enough, you can feel good about the fact that it is crafted in a cruelty free environment in the USA from natural, organic and sustainable ingredients.